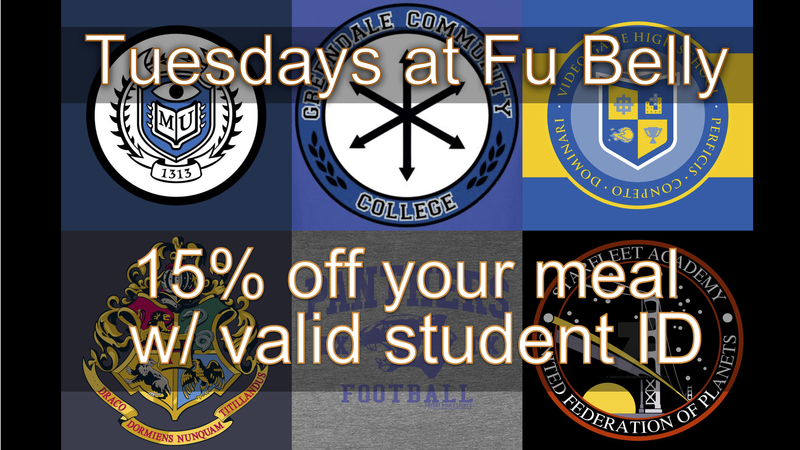 Every Tuesday, show your valid student ID to the cashier and receive 15% off your meal! Join us every month for trivia night! 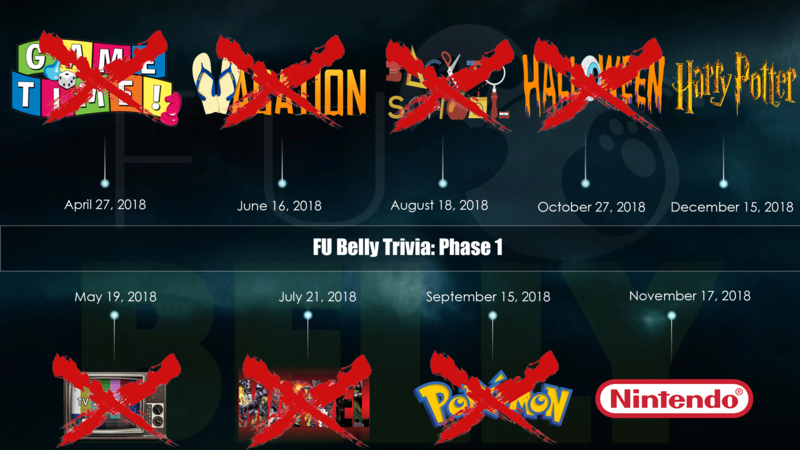 Play games, win prizes, and get your grub on! 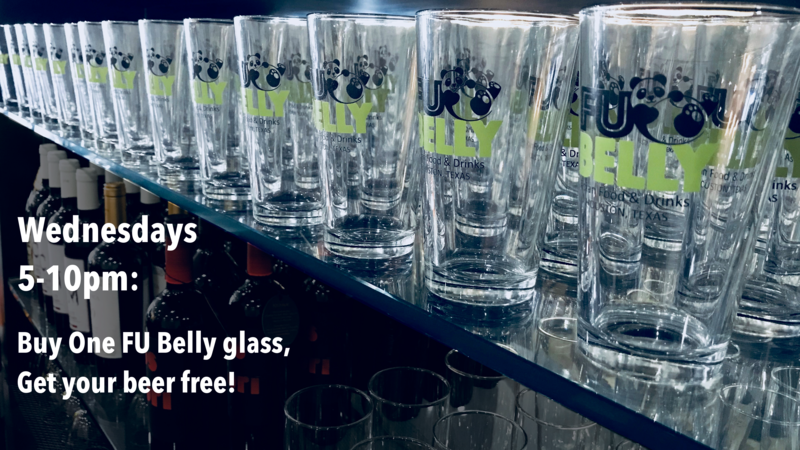 Every Wednesday night, buy a FU belly glass for $8 and get your beer FREE!